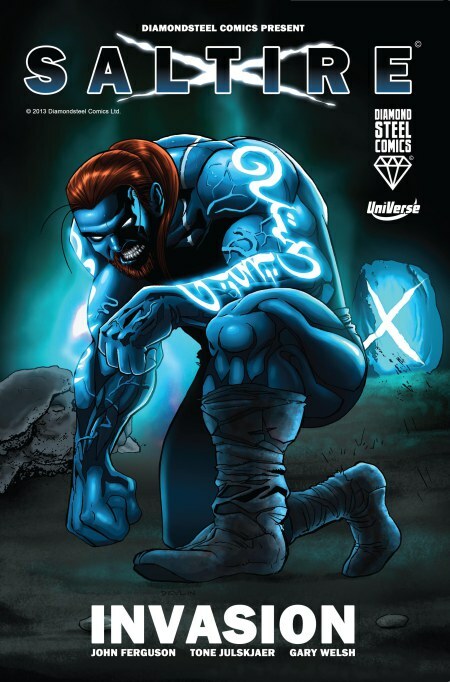 John Ferguson is the driving force behind Scotland’s very own superhero in the form of Saltire but his title has gone from strength to strength since it’s first release. What was the first title you worked on? Saltire – Invasion was my first comic book title. It was nominated for Best British Comic so it was a decent beginning. Coming from a background in journalism it was a real eye opener into the fabulous medium of comics. How has your work changed since then? It’s changed quite a bit. I feel I can create better paced narratives and more realistic dialogue. But more importantly, better ideas and characterisation have come from added confidence and experience. I would say my writing has become more focussed. The stories are tighter now which adds realism. I’m influenced by everything I watch, read and listen to whether it’s good or bad. I like to see what not to do and what doesn’t work as much as looking at something that’s clever or well-formed. I like to analyse the diverse ways storytelling is structured into a conversation, a scene, even a lyric. In comics, I love reading the legends like Frank Miller and Alan Moore but the modern medium is full of amazing writers too, like Scott Snyder, Ed Brubaker and Brian K Vaughn. What comics are you reading just now? I was told early on that if you want to be a good writer you need to read a lot and write a lot. The best things I’m currently reading are Kill Or Be Killed, Batman, Southern Bastards and American Vampire. And Saga, that’s a hell of a series. What’s the best thing about creating comics? So many things. It’s an enjoyable process. Seeing the title come to life as a finished piece of work with the whole team’s input is very special and a little surreal because it seems like such a massive task when you start out on a run of issues. I would say as a writer, it’s that Eureka moment when you have an idea that you know will make a great narrative and gives you a story worth creating. What are you working on just now? I’m about to release a very cool gangster noir title, Mean City, that was due out last year but slowed down with a change of artist. And I’ll hopefully find a home for Roamer, an action thriller set during a nuclear fallout which is one of the best things I’ve written. Along with a new Saltire superhero series I’m currently working on a fun title, Junkyard Tank, which is quite quirky and a little different from what I usually write. 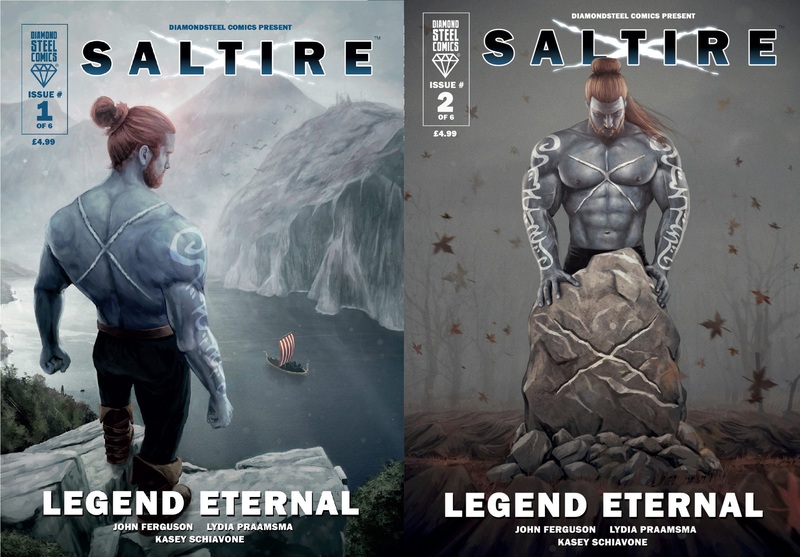 You can catch-up with the Saltire team at MCM Scotland and check out what’s next from John & Diamondsteel Comics on their website. Head over to the Saltire Facebook & Twitter pages for more news too. This entry was posted in Features, Interviews and tagged Comic Creators Anonymous, DiamondSteel Comics, John Ferguson, Junkyard Tank, MCM Scotland, Mean City, Roamer, Saltire by G-Man. Bookmark the permalink.